Moving can be a hectic event that makes your entire life feel temporarily disheveled and disorganized. There are several steps in the moving process that can seem tedious and make the move feel extremely time-consuming. 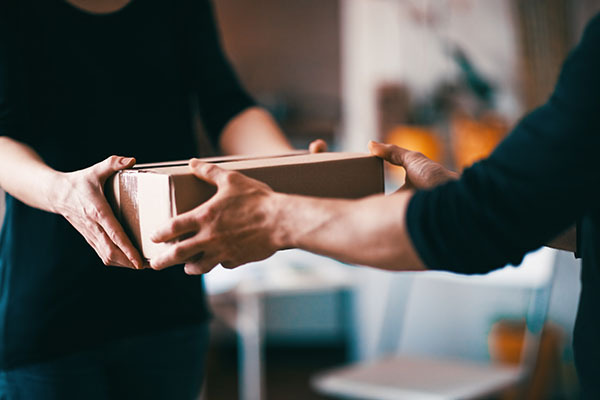 According to MovingAddresses.org, one of the most crucial steps in the moving process that should not be overlooked or delayed is changing your address with the United States Postal Service (USPS). There are several pieces of important mail that will need to make their way to you and can be delayed or denied if the proper address isn’t filed with the USPS. Here are four of the most significant items you could miss out on in the mail if you don’t change your address in a timely manner. Every year, you likely receive a notice to renew your vehicle’s registration from the Department of Motor Vehicles (DMV). Failure to comply with renewal of your car’s registration can get you into a lot of trouble with the DMV and local law enforcement. The experts at MovingAddresses.org warn that driving your car with expired registration can turn into a suspended license or hefty fines to pay. It’s important to change your mailing address as soon as you move so you can receive this reminder and renew your registration with time to spare. The Internal Revenue Service (IRS) is usually not very forgiving when it comes to deadlines for tax filing and payments to its office. If previous employers only have your old address on file, there can be a lengthy delay in receiving the proper tax documents that are needed to file your year-end taxes. Changing your address with the USPS as soon as you move can prevent you from missing out on these important documents. According to the team at MovingAddresses.org, tax documents sent from the IRS to the wrong address can’t make it to you at all unless there is a correct forwarding address. By updating your address promptly after your move, you’ll ensure you can receive all tax documents from previous employers or banks and communication from the IRS. During the chaos of moving into a new place, it’s easy to forget about the few paper bills that you still receive in the mail. If you don’t change your address with the USPS as soon as possible, you can easily start missing out on these bills, leaving an outstanding balance on your account. This balance can be serious enough for a company to send your account to a collection agency, negatively affecting your credit score. These paper bills can be as simple as your entertainment program subscription service bills, or as crucial as medical or student loan bills. The team of experts at MovingAddresses.org recommends first changing your address with the USPS as soon as possible, and then dealing with each company you receive mailed bills from, individually, to change your address. The experts at MovingAddresses.org suggest visiting your local USPS office as soon as you move to your new address so you don’t miss imperative communication from friends and family members. Birth announcements, wedding invitations or house-warming gifts are still sent in the mail and allow you to maintain a close connection with friends and family, no matter how far away you move. Not changing your address in a timely manner can lead to missing out on these important milestones with close friends and family members. Stopping by to change your address at a local post office may seem like a hassle, especially when you’re engulfed in the process of moving to a new home, but it’s imperative so you don’t miss out on these important letters and announcements from the ones you love.